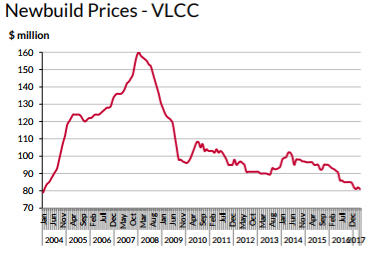 Over the last five years, the VLCC fleet has experienced significant growth leading to the current oversupply situation. 2016 saw a drop in newbuild orders placed leading to speculation that a re-balancing of the fleet may be on the horizon. But low newbuild prices coupled with the potential for a recovery proved too irresistible for some and 2017 has seen a large number of orders placed. VLCC stands for Very Large Crude Carrier and they typically transport approximately 2,000,000 barrels of oil. Companies engaged in the ownership of these vessels include DHT Holdings (NYSE:DHT), Euronav (NYSE:EURN), Frontline (NYSE:FRO), Gener8 Maritime Inc. (NYSE:GNRT), Navios Maritime Midstream Partners L.P. (NYSE:NAP), and Ship Finance International Limited (NYSE:SFL). The crude tanker market has been under pressure lately due to an influx of vessels hitting the water which have increased vessel supply at a faster rate than demand growth for seaborne crude imports. This growing disequilibrium has been responsible for the decline in charter rates. But low charter rates coupled with a lack of investment and/or credit availability led to a massive drop in newbuild orders in 2016, which paved the way for a potential rebalancing over 2018 and 2019. Shipyards, which expanded capacity prior to the 2008 boom to supply vessels for what turned out to be an unsustainable market, faced increasing competition for a shrinking number of orders leading to exceptionally low newbuild prices. West Texas crude prices dipped following OPEC's decision to extend production cuts on May 25, falling from the day's high of $52 to below $48 in after-hours trading. Oil continues its slide -- United States Oil (USO) has fallen 0.68% while the iPath S&P GSCI Crude Oil (OIL) has declined 1.13%. Meanwhile the Energy Select Sector SPDR (XLE) has corrected 0.83%. Today’s meeting didn’t have any impact on our fundamental supply outlook, because we had already built it in to our forecasts. First, the level of the targets has not changed. Second, even without a nine month extension, we previously believed that OPEC would meet again late this year and agree on targets for the first half of 2018. The key for us is that we continue to believe, as we have since the end of last November, that the Saudis and OPEC are back in the game of active supply management. What this means is that when we look past today’s meeting to the next meeting, and the meeting after that, etc., there will be an OPEC production target. In the abstract, the target may move higher or lower, depending on market conditions and on progress toward the rebalancing goal – but there will be a target. Wittner maintains his bullish outlook on oil and thinks that while the rebalancing process has taken longer than expected earlier this year, the OPEC cuts will eventually work. Continued lack of volumes depleted VLCC rates and earnings down to about $15,000 per day. Tonnage was also building up, applying pressure on rates going forward, Fearnleys said. Older and handicapped tonnage, plus newbuildings added to the sentiment, particularly for MEG/East. Suezmax activity in the first decade of June picked up last week after a prolonged period of stagnation with levels maintained at WS72.5 for TD20. However, sustained activity in both the North Sea and the Med contributed to a considerably tighter position list, as tonnage was steadily picked off. In addition, at the end of last week, we saw the Med Aframaxes spiking rapidly to levels that made more economic sense for charterers to fix Suezmaxes. This pressure developed further, which was another contributing factor for owners to renew their resolve, Fearnleys said. On Wednesday, WS85 was paid for WAfrica to UK/Cont/Med. Both current fundamentals and sentiment point to a firmer few days ahead, which is an unexpected bonus for owners who only a week or so back were contemplating some difficult months ahead. The North Sea and Baltic Aframaxes finally moved off rock bottom levels this week. This happened as the early June Baltic programmes came out and a couple of prompt replacements were being worked. Rates should move sideways at present levels going forward. In the Med and Black Sea we saw the market reach new heights. The tonnage list was still looking extremely tight and with several replacements putting even more pressure on the market, we saw WS150 being paid for a cross-Med voyage. Going forward, we expect the market to slow down, but this will not happen overnight and rates will remain at high levels for the week to come, Fearnleys predicted. In other chartering news, brokers reported that NORDEN had chartered out the 2013-built ‘Nord Steady’, to Chevron for 12 months at $14,500 per day and had chartered in the 2009-built MR ‘FPMC 19’ for 12 months at $12,000 per day. In addition, Norient Product Pool, commercially run by NORDEN, has reportedly fixed the 2009-built MR sisters ‘Atlantic Mirage’ and ‘Atlantic Muse’ for 12 months plus six months option at $12,500 per day each. The 2016-built Aframax ‘North Sea’ was believed to have been fixed by Vitol for six months at $16,000 per day. She was also said to have been taken on a short charter by Clearlake for $15,000 per day. Another Aframax, the 2003-buikt ‘Astro Saturn’ was believed to have been fixed to Jellicoe for 12 months at $15,000 per day. Euronav’s VLCC ‘Anne’ was due to be the first VLCC to load at Corpus Christi at the time this newsletter was distributed. It was thought that due to draft restrictions, the vessel would only load a part cargo. DryShips took delivery of the newbuilding Suezmax ‘Saga’ on 19th May in what is effectively an in-house deal. The vessel was chartered back to the seller and on 24th Ma, 2017, commenced its five year timecharter,r plus optional periods in charterer’s option, at a base rate plu sa profit share. The total expected gross backlog under the timecharter, assuming that the spot market for Suezmaxes for the next five years averages $25,000 per day, is estimated to be around $43.1 mill. The vessel was acquired from and chartered out to entities affiliated with chairman and CEO, George Economou. Odfjell has confirmed the purchase of the 2009-buit 33,609 dwt chemical tanker ‘ Argent Eyebright for $25.5 mill. The vessel was built by Kitanihon Shipbuilding in Japan. She is fitted with 16 stainless steel tanks and fits well with Odfjell’s fleet of large stainless steel tankers and is in line with the fleet’s renewal strategy, the company said. ‘Argent Eyebright’ has been on short term timecharter to Odfjell Tankers since January, 2017. She will be renamed and put under NIS flag after closing the transaction at end of June. The 19,807 dwt 2010-built chemical tanker ‘Sky Dream’ was also reported sold to Norwegian interests for $18.5 mill. India Steamship has sold three LR2s to Centrofin in an en bloc deal said to be $63 mill. One vessel is trading in the clean market while the other two are trading dirty. In the newbuilding sector, Cido was believed to have re-negotiated an order for four PCTCs at Hyundai Mipo, changing the contracts into MRs for 2020 delivery. 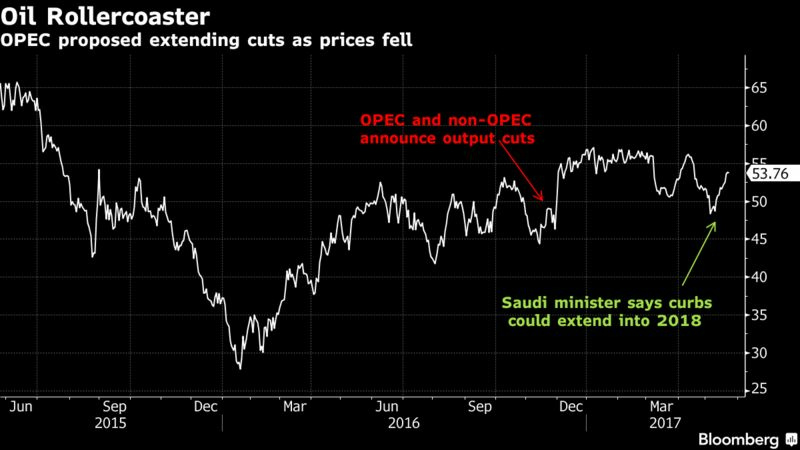 OPEC and its allies were poised to extend their production cuts for an additional nine months after last year’s agreement failed to clear a global supply glut or deliver a sustainable price recovery. Six months after forming an unprecedented coalition of 24 nations and delivering output reductions that exceeded all expectations, resurgent production from U.S. shale fields has meant oil inventories remain well above the level targeted by OPEC ministers. Still, Al-Falih said the curbs were working, with stockpile reductions to accelerate in the third quarter. While he expects a “healthy return” for U.S. shale, that won’t derail OPEC’s goals and proposals for deeper cuts were deemed unnecessary. Libya and Nigeria will remain exempt from the output curbs, he said. Oil fell prices fell as the meeting opened. Brent crude dropped as much as 2.2 percent in London and was down 0.5 percent at $53.68 a barrel at 10:53 a.m. Some investors were disappointed after speculating OPEC might announce some additional action, said Giovanni Staunovo, an analyst at UBS Group AG. The oil market is also looking for clues as to what OPEC may do in 2018, a year when U.S. shale output growth is expected match the increase in demand. There’s concern about whether OPEC could return to the free-for-all production that caused prices to slump from 2014 to 2016. “We have said we will do whatever it takes,” said Al-Falih, commenting on the potential for action beyond March 2018. The nine-month extension to be discussed Thursday could include an option for an extra three months, according to ministers from Russia and Nigeria. That’s similar to last year’s accord which included the option for an extra six months. While an extension of that length at the same output levels is the best option, there are various proposals, including one with deeper cuts, said Iraqi Oil Minister Jabbar Al-Luaibi. “If this is approved, Iraq will comply,” he said. Extending the deal will bring producers prices stability, Nigerian Oil Minister Emmanuel Kachikwu said in a television interview before the meeting on Thursday. 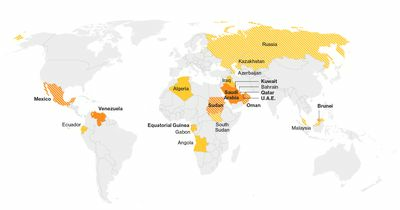 The Organization of Petroleum Exporting Countries and 11 non-members agreed last year to cut output by as much as 1.8 million barrels a day. The historic pact affected everything from the valuations of U.S. shale producers to the foreign exchange rates of energy-dependent nations such as Brazil and Nigeria. The supply reductions were intended to last six months from January, but initial confidence in the deal, which boosted prices as much as 20 percent, waned as inventories remained stubbornly high and U.S. output surged. You can follow our TOPLive blog on the OPEC meeting in Vienna on Thursday here. 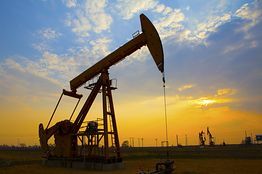 U.S. crude production rose to 9.32 million barrels a day last week, an increase of 550,000 this year to the highest since August 2015, according to data from the Energy Information Administration. That wipes out almost a third of the supply reduction from OPEC and its allies and the output surge could double by year-end, consultant IHS Markit Ltd. told the group at a meeting last week. Increasing shale output will be absorbed by stronger demand, United Arab Emirates Energy Minister Suhail Al Mazrouei said before OPEC started its ministerial meeting. VATICAN CITY — Pope Francis welcomed President Trump to the cradle of Roman Catholicism on Wednesday, delivering a message of peace even as the pontiff emphasized his role as the world’s moral counterpoint to the president’s nationalist agenda. The two men met in the pope’s private study for nearly half an hour, joined only by an interpreter. The pontiff, in white papal dress and a pectoral cross on a chain around his neck, sat behind a small desk while Trump, in a dark suit and navy striped tie, took the single chair across from him as if interviewing for a job. After some initial awkwardness — Trump looked somewhat uneasy as he was kept waiting for a few seconds in the Saint Ambrose room before shaking hands with Francis, who was stone-faced at first — the atmosphere soon warmed. 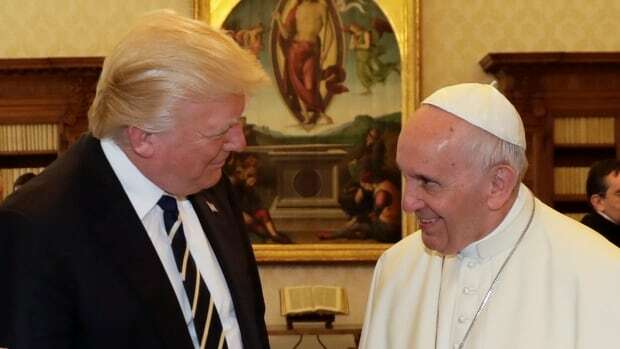 The pair seemed to set aside their differences from last year’s campaign, with Trump appearing both presidential and deferential, while the pope, smiling slightly, seemed to be visually appraising him. Trump and Francis spoke about “extreme terrorist threats” and the “radicalization of young people,” Secretary of State Rex Tillerson told reporters. He added that in a later meeting with Trump, Cardinal Pietro Parolin, the Vatican secretary of state, raised the issue of climate change and encouraged the president to maintain the U.S. participation in the Paris climate accords, something the administration is currently debating. “We had a good exchange the difficulty of balancing addressing climate change, responses to climate change, and ensuring that you still have a thriving economy and you can still offer people jobs so they can feed their families and have a prosperous economy,” Tillerson said. Once Francis rang a bell signaling that the one-on-one discussion had concluded, the pair exchanged official gifts, with the pope presenting Trump a medallion by a Roman artist in the shape of an olive tree, the symbol of peace. “We can use peace,” Trump said. “Well, I’ll be reading them,” the president said. Trump’s visit to the Vatican capped his quest this week to promote “tolerance” among followers of three of the world’s religions and cooperation against extremism. On his maiden foreign trip as president, Trump has addressed a summit of Muslim leaders in Saudi Arabia and met with Israeli and Palestinian leaders in Jerusalem and Bethlehem. Arguably the West’s most influential leaders, Trump and Francis hold divergent worldviews on everything from migrant rights to climate change. Underscoring the differences between them, Trump’s administration on Tuesday unveiled a budget that deeply cuts assistance to the poor. Francis, meanwhile, spent Tuesday commemorating the Rev. Oscar Romero, a Salvadoran archbishop gunned down by right wing death squads and who championed social justice and the rights of the poor. Following their private meeting, Trump expressed gratitude for the audience. First lady Melania Trump, in a black dress with a black veil, was also greeted by the pope and engaged in a brief conversation. She appeared more animated than she has during the earlier parts of the trip, when she gazed into the distance without expression while her husband was the center of attention. The first lady chatted with Francis, who said something to her in English that made her laugh. “What do you give him to eat, potica?” Francis asked, referring to the president and a Slovenian dessert. One of the pope’s attendants, gave Melania Trump a small object that appeared to be a rosary, as she was walking away. She turned back and asked the pope to bless it, which he did. Before departing the Vatican, the Trumps were given a private tour of the Sistine Chapel and St. Peter’s Basilica, and the president held a 50 minute meeting with Parolin and Archbishop Paul Gallagher, who effectively serves as the Vatican’s foreign minister. The president later met with Italian President Sergio Mattarella at the Quirinal Palace in Rome, and with Prime Minister Pablo Gentiloni at Villa Taverna. Among the gifts Francis presented to the president was a copy of the pontiff’s 2015 encyclical on the environment and its relationship to social justice. Although it predates Trump’s presidency, the document seemed a message to an administration that has questioned climate change and whose economic policies are centered on profit and growth. In it, Francis chastised the world’s leading nations for lacking the will to address man-made climate change. “The warming caused by huge consumption on the part of some rich countries has repercussions on the poorest areas of the world, especially Africa, where a rise in temperature, together with drought, has proved devastating for farming,” he wrote. Trump is in the process of deciding whether to uphold the Paris climate change agreement, amid heated debate among his advisers. The agreement is expected to be the subject of discussion between Trump and newly-elected French President Emmanuel Macron and other European leaders when they meet in Brussels later this week. Trump gifted Francis a first-edition set of King’s five books, which were custom-bound and accented with gold hand-tooling. Francis cited King’s march from Selma to Montgomery, Ala., in his 2015 address to a joint session of Congress. The president also presented a handmade bronze sculpture created by Florida artist Geoffrey Smith, titled “Rising Above,” and designed to evoke the values of unity and resilience. Trump’s daughter, Ivanka, who also wore a black dress and veil, and her husband, Jared Kushner, a senior White House adviser, also met the pope. In a separate room in the Apostolic Palace, Trump introduced members of his family to Francis, and they shook the pontiff’s hand. The Americans included Tillerson, national security adviser H.R. McMaster, State Department officials Margaret Peterlin and Brian Hook, as well as three longtime aides who are close to the president: Hope Hicks, his communications adviser; Dan Scavino, who manages his Twitter account; and Keith Schiller, his former bodyguard who now directs Oval Office operations. Nevertheless, Vatican officials — while seeking to play down a meeting that many speculated could be either be very diplomatic or easily run off script — have described Wednesday’s encounter as an opportunity for the U.S. president and the head of the Roman Catholic Church to find common ground. Trump was “honored to go and meet the pope,” adding that he “has a lot of respect” for Francis, a senior administration official told reporters Tuesday aboard Air Force One, as the president flew to Rome from Israel. In St. Peter’s Square outside the basilica, crowds of tourists and the faithful were gathering for the pope’s appearance at his regular General Audience on Wednesdays. On Tuesday night, a small number of Italians and Americans living in Rome organized an anti-Trump demonstration in Rome’s Piazza Bologna. Stefano Pitrelli in Vatican City contributed to this report. The Strategic Petroleum Reserve is the world’s largest stockpile of emergency crude oil, and lies near the largest U.S. refiners and pipeline networks in four large salt caverns in Louisiana and Texas. Economist Philip Verleger has been among the leading advocates of shrinking the reserve. “The reserve was created at a time when the nation was very dependent on imported oil,” he wrote in a blog article for S&P Global Platts in 2014. “The dependency is in the past. The Reserve no longer serves the purpose for which it was developed." Some of the country's leading CEOs will be heading to Saudi Arabia to hold a first-of-a-kind summit with the Saudi energy minister and other top Saudi officials about the kingdom's plans to diversify its economy away from oil. 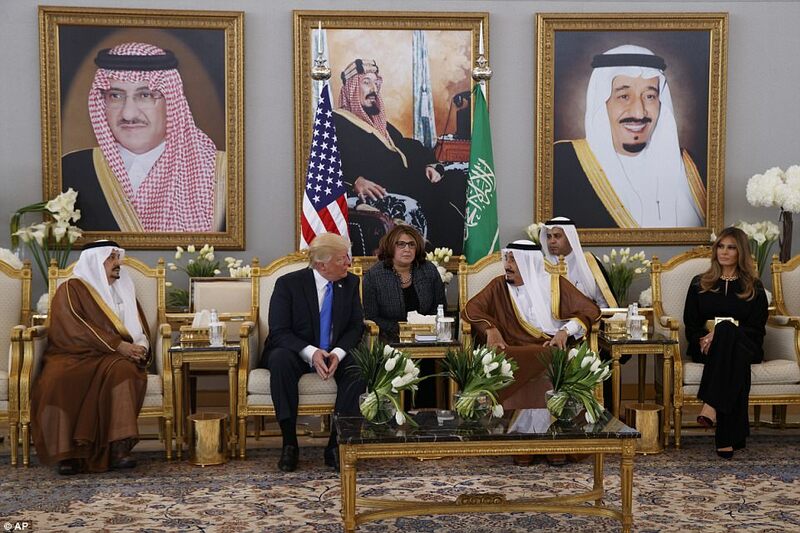 The summit will be held alongside President Trump's state visit this weekend, bringing together more than 50 U.S. companies, 40 Saudi companies and nine global companies, the official Saudi news service announced Friday. The First Saudi-U.S. CEO Forum, called "Generations' Partnership," will be held Saturday as Trump arrives in the desert kingdom. 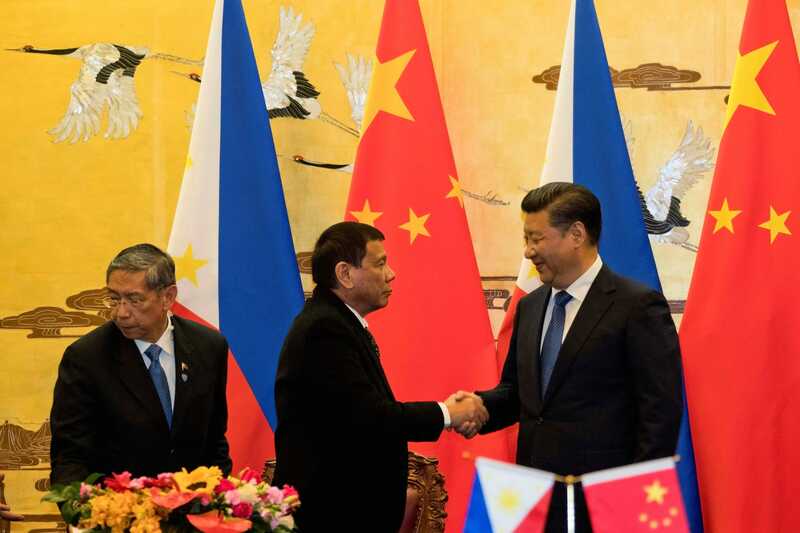 The goal is to develop "active partnerships" and enhance cooperation and investment opportunities between the two countries, the announcement said. The forum also will highlight Kingdom Vision 2030, King Salman's landmark undertaking to transition his country from its most abundant natural resource — crude oil — to other industries by 2030. Those other industries will include everything from heavy manufacturing to electronics, renewable energy and defense. The plan was a necessary wake-up call for the kingdom after a two-year oil supply glut wreaked havoc on the Saudi economy, which depends on crude for its budget. Revenues were more than cut in half as crude oil prices fell from more than $100 per barrel to about $30 per barrel. The U.S. Energy Information Administration reported Friday that OPEC members earned roughly $433 billion in net oil export revenues in 2016, the lowest level in more than a decade. The energy data agency projects that OPEC revenues are expected to rebound this year. Saudi Arabia has led an agreement between OPEC and non-OPEC nations to reduce production to allow the price to rise and balance out supply and demand. The drop in the oil price was blamed partly from U.S. oil coming into the world market through the advent of fracking, which made North America a fossil fuel giant in a few short years. It forced the Saudis to sell off assets to meet the budget shortfall. Next year it plans to begin selling shares of its national oil company, Saudi Aramco, with an initial public offering, which is a key part of the Saudi diversification plan. The CEO forum will include Jeff Immelt, CEO of General Electric. The manufacturing giant pledged to make a $3 billion investment in the kingdom last year as part of the country's plan to diversify its economy away from oil. Other CEOs will inlcude Andrew Liveris, chairman and CEO of Dow Chemical, which has eyed the kingdom's oil and natural gas resources as a prime opportunity to build out its chemical business there. Access to cheap and reliable natural gas and petroleum is a key consideration for any chemical operation to set up shop in a country. Dow is set to build a $20 billion chemical chemical complex in the kingdom. Saudi Aramco is also expected to announce as much as $40 billion in new investments it will make in the United States during Trump's visit. Recently, Aramco become the sole owner of the largest U.S. refinery at the former Motiva complex in Port Arthur, Texas. The list of Saudi cabinet heads at the meeting will include Khalid Al-Falih, minister of energy, industry and mineral resources; Majid Al-Kassabi, minister of commerce and investment and engineering; Mohammed Al-Jadaan, finance minister; Ali Al-Ghafis, minister of labor and social development; and a number of other Saudi senior officials, the official news service noted. President Trump is not expected to attend the CEO forum. He will attend a number of other summits being held during his official state visit, including the Saudi-U.S. Summit and the Gulf Cooperation Council-U.S. Summit, and he is scheduled to deliver remarks at the Arab Islamic American Summit. "His response to me, 'we're friends, we don't want to quarrel with you, we want to maintain the presence of warm relationship, but if you force the issue, we'll go to war.'" He said Xi told him "do not touch it." 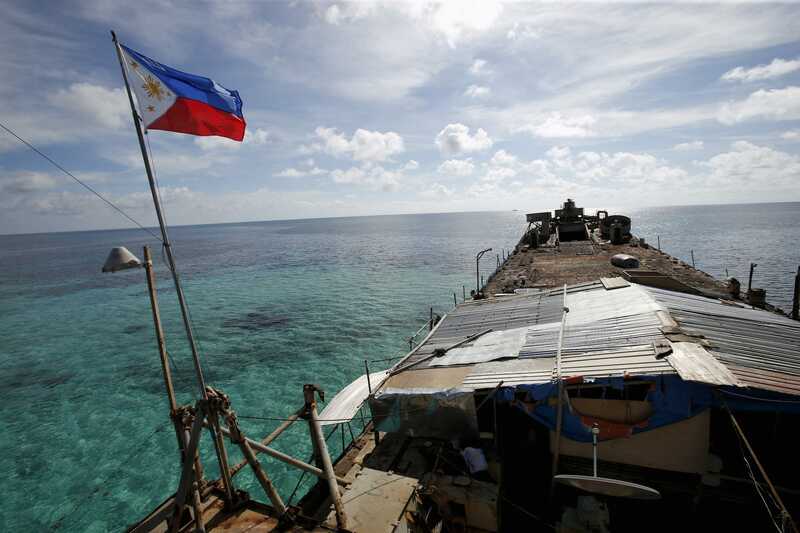 They exchanged views on "the importance of appropriately handling concerns, incidents and disputes involving the South China Sea," the Chinese Foreign Ministry said in a statement that gave few details. Wilhelmsen Ships Service (WSS) will soon be delivering agency services via drones. WSS claimed that its ships agency team, rather than the company’s supply chain, or product divisions, have been assessing the business opportunities offered by drones. Marius Johansen, vice president business solutions & marketing, WSS Ships Agency, explained, “Whether it is deliveries of critical documents or vital medical supplies, tank inspections, or monitoring cargo and stockpile levels, we believe semi-autonomous drone flights can support and further enhance what our ships agency team can offer our customers. “Relied upon by owners, operators, vessels and crew to get spare parts, medicine, documents, or cash to master where it needs to be at moment’s notice, drone delivery is a natural extension of our existing agency service portfolio,” he said. Dispensing with the need for launch boats to deliver these services to vessels at anchorage, along with cutting delivery times, Johansen estimated that drone flights would also slash costs. With launches typically costing on average $1,500, he suggested a drone delivery would eventually come down to just $150. Launching a large scale working pilot project in one of the world’s busiest ports in 2017 and in spite of the complexity of global aviation rules and restrictions placed on unmanned aerial vehicles, for WSS drone delivery is very much here to stay. Discussing the project for the duration of Nor-Shipping, the WSS agency team will be on the Wilhelmsen stand, A1-7 in the Disruptive Sustainability hall. The cost of taking crude oil from West Africa to China on VLCCs has hit a near two-month low, due to slack demand from China and a weak Persian Gulf market, sources said. The VLCC route from West Africa to China, basis 260,000 mt, was assessed at $11.95/mt on Tuesday, the lowest level since March 31, when it was valued at $11.85/mt, according to S&P Global Platts data. NPI was heard to have taken the VLCC vessel Kondor on subjects at w55.5 for a voyage from West Africa to China with June 14-16 loading dates, which equates to $11.95/mt. The leading VLCC market in the Persian Gulf is weak and this is depressing the Atlantic market as well, sources said. 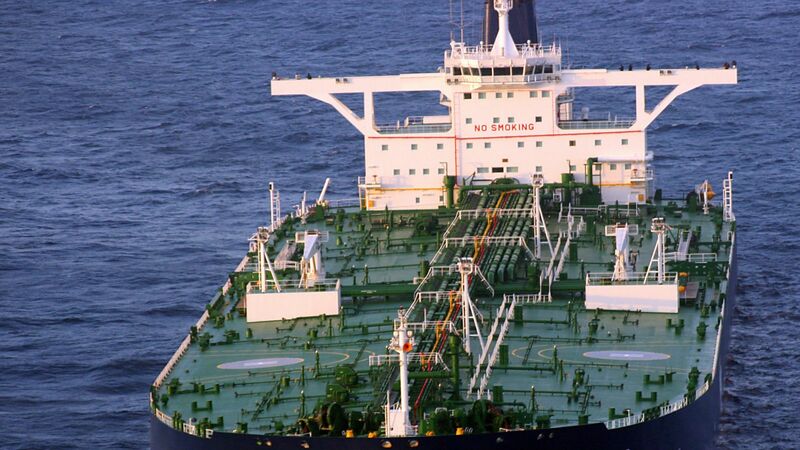 Shipbroking sources estimate the tonnage over-hang at approximately 38 VLCC ships in the Persian Gulf, which is close to the highest level in three years. "We are looking to the Atlantic for some hope, but the Caribs can't take everything, and there is not much to take Arabian Gulf ships away and reposition them in the Atlantic," said one shipbroker. Chinese demand for Angolan crude has been slightly lower for May and June cargoes, with the country's teapot refineries reducing their purchases from earlier in the year. "We have had high global refinery maintenance and don't have peak runs. The teapots haven't come back into the market and a lot of them have already used up their import quotas," said one trader. The lower Chinese demand has placed downward pressure on Angolan differentials and made these barrels more attractive to European refiners. As the voyage time from Angola to Europe is considerably shorter than from Angola to China, VLCC ton mile demand has been reduced by the lower Chinese demand for Angolan crude. Sandia National Laboratories researcher Anna Lord displays a model of the Big Hill cavern field in Texas, part of the nation’s Strategic Petroleum Reserve. Sandia is the geotechnical adviser for the reserve. Decades of Sandia National Laboratories expertise on how salt domes behave went into a recent report that concluded that the U.S. Department of Energy is justified in extending the life of the Strategic Petroleum Reserve. The report, "Long-Term Strategic Review of the U.S. Strategic Petroleum Reserve," analyzed the reserve's capability to be tapped, or drawn down, and how that figures into future storage decisions. Sandia estimated the number of potential drawdowns per cavern, using computer models that consider such factors as cavern shape, relationship to surrounding caverns and salt movement, or creep, and how such parameters ultimately affect a cavern's stability. Calculating the number of drawdowns left was particularly important, said geologist Anna Lord, Sandia's project manager for the reserve. The number of times each cavern can still be tapped into affects overall design storage capacity decisions, including whether new caverns would be needed, she said. The Strategic Petroleum Reserve was established after the 1973 oil embargo to protect the United States from severe oil supply interruptions and to meet its obligations under the International Energy Program. DOE brought in Sandia five years later. The labs became geotechnical adviser in 1980, responsible for characterizing the site, including cavern and well development, geomechanical analysis, the integrity of caverns and wells, subsidence and monitoring. The reserve operates four major storage facilities in the underground salt domes of the Gulf Coast, two in Louisiana and two in Texas. The stockpile of government-owned crude oil can be tapped at the president's order when an emergency disrupts commercial oil supplies. "When the president calls up and says, 'We need to release X amount of oil,' they need to be ready to do that at a certain rate and a certain amount a day," Lord said. "All the work we do goes toward making sure they're able to do that." Sandia's work falls into two areas: geotechnical, which involves updating geologic understanding of the salt domes, modeling the caverns' geomechanical behavior and assuring the integrity of caverns and wells drilled into them; and engineering, which includes understanding fluid behavior, analyzing the leaching process that occurs during oil removal and assuring the reserve meets environmental, safety and oil quality requirements. Studying well integrity is one of Sandia's most important responsibilities, Lord said. Think of wells as a series of casings inside each other like concentric circles, with each smaller well deeper than the larger one above. The column of casing, called a string, acts as a protective barrier -- if one concentric circle goes, others remain. Well failure could cause oil to leak into the environment. In addition, a well that loses integrity can't be used to pull oil out. Sandia's team analyzes well integrity through hydrostatic column computer modeling. Reserve operators send nitrogen gas down the wells to test whether they're losing pressure, and the Sandia models provide rates and locations of any nitrogen leaks. A nitrogen leak does not necessarily mean the well will leak oil, so the model differentiates between pressure changes caused by nitrogen flow versus oil flow. Pressure tests can indicate "when do we worry, when do we need to do remediation?" Lord said. "No one's ever looked at this before, so we started a program to really try to understand what's going on behind the well. We've come up with a model that can tell us what the leak rates are and where those leaks may be," she said. "We're getting into the new area of what's going on behind the scenes. "There are well integrity issues everywhere, not just at the reserve. This happens anywhere with aging infrastructure. Geology takes over; engineering doesn't matter." Oil is removed by injecting fresh water into the brine stored at the bottom of the caverns, pushing out oil floating above the brine. But fresh water dissolves salt, changing the caverns' shape. "So we do studies to see where the water will change it, how much it will change it, does that new shape affect stability?" Lord said. Each cavern was meant to be emptied five times. But emptying a cavern makes it larger because the fresh water dissolves some of the salt. Sandia's geomechanical modeling shows, for example, "oh, you really only have three drawdowns in this cavern, you have a full five in this one, but you have none in this one, and if you take all the oil out of this one you cannot use that cavern again," Lord said. When the reserve started, the government wanted to store oil as quickly as possible, and bought caverns the petrochemical industry had used. The reserve still uses some of those, but most oil today is stored in caverns the Energy Department created with Sandia's feedback. "Different domes behave differently," Lord explained. "Maybe they have higher creep rates than other domes. It depends on how homogeneous it is. Is it pure salt or is it salt with shale or other impurities mixed in, such as anhydrite?" The reserve's managers can't create a cavern simply by pumping in fresh water -- the configuration of injection wells helps create the desired shape. Sandia researchers determine salt properties in an area by analyzing impurities and doing stress and strain testing, and model different leaching well configurations. From the model, they can determine how the leaching will affect the cavern's shape. They know from past studies what a cavern should look like for continued integrity. Sandia also makes recommendations for cavern operations based on their size and shape. Salt creeping to close voids causes stresses and strains on caverns and wells. Sandia's geomechanical modeling predicts where those might occur and whether they'll create a problem. The team stepped up well and cavern integrity modeling in the past couple of years, collecting and analyzing existing data to see what's going on and how one cavern's operation affects a neighboring cavern. "We're trying to bring all the pictures together into one holistic story," Lord said. Will Cushing Crude Oil Inventories Fall for 5th Consecutive Week? Market surveys estimate that Cushing crude oil inventories fell between May 5 and May 12, 2017. A fall in crude oil inventories at Cushing could support US crude oil (USO) (UCO) (RYE) prices. Higher crude oil prices could have a positive impact on the earnings of crude oil producers like Apache (APA), Warren Resources (WRES), and QEP Resources (QEP). On May 17, 2017, at 10:30 AM EST, the EIA (U.S. Energy Information Administration) will release its crude oil inventory report for the week ending May 12, 2017. For the week ending May 5, 2017, the EIA reported that Cushing crude oil inventories fell by 0.4 MMbbls (million barrels) to 66.2 MMbbls in the previous week. Inventories are down 0.6% week-over-week and 2.2% year-over-year. Cushing crude oil inventories fell for the fourth consecutive week. Cushing, Oklahoma, is the delivery point for crude oil futures contracts trading on NYMEX. It’s also the largest crude oil storage hub in the US. Cushing’s crude oil storage capacity is 73 MMbbls. As you can see in the above graph, crude oil (FENY) (DIG) (ERY) prices and inventories have an inverse relationship. Cushing crude oil inventories hit the highest level of 69.4 MMbbls in the week ending April 7, 2017. Inventories are down 5% from their peak. The fall in Cushing crude oil inventories could support crude oil prices. Recent VLCC activity has been relatively healthy. Rates both ex MEG and West Africa have held up stronger than most had thought, Fearnleys said in its weekly report. The May programme in MEG is nearly finished and we are in the ‘interim-month-days’, while the West Africa/East June programme is well under way. Rates appear steady for most major routes, but may have peaked around present levels. 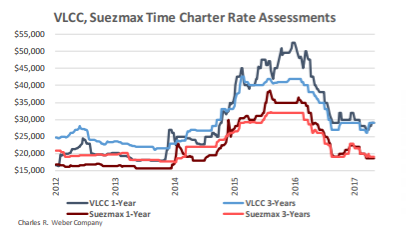 As predicted, Suezmaxes experienced a sharp correction downwards last week, as activity became sparse in West Africa in the third decade of May, charterers were in complete control and were able to negotiate rates down by over 10 points settling at WS72.5. The Mediterranean and Black Sea experienced similar lethargy and the signs are that we are entering into a period of sustained pressure for owners. Cargoes are increasingly being shown with a wide range of discharge options, as traders appear to be struggling to sell barrels, Fearnleys said. Owners are reluctant to let the market slip any further but unless volumes increase substantially, a further erosion of rates seems likely in the week ahead. Aframax rates in the North Sea and Baltic appear to have stabilised and charterers are working far forward, as the downside is minimal. At these levels, some owners are refusing to give short options, due to low returns. This could apply a bit of pressure for end month fixing. This week in the Mediterranean and Black Sea, we have seen the market cool off yet again, after last week’s firming rates. We expect the market to soften a bit more before stabilising at low WS100s level, Fearnleys concluded. The only fixture of interest reported by brokers was that of the 2007-built Aframax ‘BM Bonanza’ taken by Unipec for six option six months for around $15,000 per day. In addition, the Suezmax ‘Gener8 Orion’ was sold to Indian interests for $13.3 mill. Scorpio Tankers has also confirmed the sale of two 2013-built MRs ‘STI Sapphire’ and ‘STI Emerald’ for bout $56.4 mill in total. The sales are expected to close in June, 2017 at which time STI will repay the outstanding secured total debt for these vessels of $27.6 mill. The company will record a write-down of around $9.3 mill during 2Q17 in connection with the sale. They have been sold to Chilean interests on the back of a charter to ENAP, brokers reported. Elsewhere, the 2009-built MR ‘Kirsten’ was reported sold on subs to Union Maritime for $19.3 mill. Leaving the fleet were the 1998-built Aframax ‘Oriental Green’ reported sold to either Indian or Bangladeshi breakers at the buyers option for $385 per ldt. Bangladesh buyers were also thought to have taken the 1995-built Handysize ‘Vries Vienna’ for $371 per ldt. In the newbuilding sector, Euronav has announced an order for two Ice Class 1C Suezmaxes at HHI. They were placed on the back of seven year charters to Valero, starting in late 2018. “Euronav believes it has secured an excellent price for two high specification vessels in line with its policy of not adding speculative new capacity to the global tanker fleet. Euronav anticipates the new vessels on order will replace its older Suezmax vessels, hence this order will not add net tonnage to the global Suezmax tanker fleet,” the company said. U.S. West Texas Intermediate futures rocketed above $47 a barrel after government data showed a big drop in the U.S. crude inventories. Gasoline demand also recovered from a recent weak spell, driving up U.S. gasoline futures. WTI is on track for its best day since OPEC agreed to cut its output. Oil prices surged as much as 4 percent after the latest report on U.S. crude stockpiles eased fears that have permeated the market in recent weeks, helping to drag prices to nearly six-month lows. U.S. West Texas Intermediate futures rocketed back above $47 a barrel and international benchmark Brent topped $50 after the Energy Information Administration reported a much larger drop in the nation's crude stockpiles and a strong rebound in gasoline demand. WTI posted its best performance since Dec. 1, one day after the Organization of the Petroleum Exporting Countries agreed to cut their production to reduce brimming global crude stockpiles. That marked a sharp reversal from the recent trend, which has seen oil prices crash through a number of technical levels to fall as low as $43.76. Oil prices had already been trading higher on a report that Saudi Arabia was cutting exports to the key Asian market and on earlier industry data pointing to a sharp decline in weekly U.S. inventories. "The EIA numbers came in bullish across the board," Roberto Friedlander, head of energy trading at Seaport Global Securities said in a research note. U.S. commercial crude inventories fell by 5.2 million barrels, versus estimates for a 1.8 million barrel decline. This occurred as refinery activity eased from recent elevated levels and oil imports dropped by 644,000 barrels a day. Gasoline demand rose by 252,000 barrels a day, bringing the four-week average closer to levels at this time last year after a string of data showing weekly consumption declines. While gasoline in storage did not decline as much as analysts anticipated, it did not rise as indicated in the earlier industry report. U.S. gasoline futures, which have slumped about 12.5 percent over the past 4 weeks, were up 3.3 percent on Wednesday. Stockpiles of distillates, which include diesel and home heating fuel, fell more sharply than expected, as well. "Crude prices continue to be sensitive to headlines surrounding U.S. production growth and OPEC output cuts, despite the fact the market largely expects those dynamics to persist," Jenna Delaney, senior oil analyst at Platts Analytics said in a written briefing on the EIA numbers. "Going forward, the question will be whether these factors will result in draws in global inventories during the remainder of 2017, which are most visibly seen through U.S. inventory data." Speaking at the 10th Annual Sub-Saharan Oil and Gas Conference that takes place in Houston on the run up to the Offshore Technology Conference (OTC), Nigeria’s deputy director, head of upstream at the Department of Petroleum Resources, Pat Maseli, revealed that the West African country lost over $850 million to gas flaring in 2015. She said: “55 million Barrels of Oil Equivalent (BOE) was lost and 25 million tons of carbon dioxide emitted.” Nigeria’s flaring is on the decline, but Maseli said this number is “still worrisome”. To put the amount into perspective the amount, if not flared, it could have resulted in 3,500 MW of electricity generation and about $400 million in carbon credit value. Iran plans to lift its crude oil production capacity by 3 million bpd, Iranian oil ministry’s news service, Shana, reported on Monday, quoting a senior official as saying that the move was aimed at boosting the Islamic Republic’s footing in OPEC and the global market. Speaking on the sidelines of an oil industry conference in Iran, Gholam-Reza Manouchehri, Deputy Head of the National Iranian Oil Company (NIOC) for Engineering and Development, did not provide specific timeframe for Iran reaching that increase, which Platts is calculating at about an 80-percent capacity boost. Iran, currently OPEC’s no. 3 biggest producer behind Saudi Arabia and Iraq, was allowed to slightly lift its production to up to 3.797 million bpd between January and June, while the two biggest, archrival Saudi Arabia, as well as Iraq, had to cut the most. Since western sanctions on Iranian oil exports were lifted in January 2016, Tehran has tried to return to pre-sanction levels of output and exports, and used this bargaining chip to obtain an OPEC exemption from cuts. According to OPEC data, Iran has largely stuck to its commitment for production in the three months to March, exceeding slightly its output in February and pumping below its quota in January and March. According to an S&P Global Platts survey, Iran produced 3.77 million bpd of crude oil in April. Nonetheless, Iran is looking beyond the OPEC deal, and has said that it wants to increase its production to 5 million bpd by 2021. Iran needs a lot of foreign investments to achieve much higher production, but international oil companies continue to be cautious in signing deals with Iran and committing to investments in its oil industry. According to Manouchehri, as reported by Shana, the NIOC has signed 24 memoranda of understanding (MoU) with domestic and international companies since January 2016. The Iranian oil company is also considering signing US$80 billion worth of deals with domestic and international contractors over the next two years, Manouchehri said.